Thank you for giveaway, Jess! I’m so excited for this book! Thanks for the giveaway! Love this series and can’t wait to read this one! Thanks for the giveaway. Thanks for the giveaway! Chicagoland Vampires is one of my favorite series. 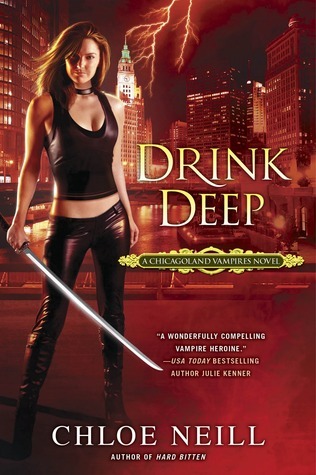 After what happened at the end of Hard Bitten, I am so eager to read Drink Deep to see what happens next. Awesome giveaway!! What a great series! You are so nice to offer this giveaway! Thank you so much for the great giveaway I can’t wait to read Drink deep! I love her books so good! Awesome! Thank you for the giveaway. I cannot wait to read it. Waiting for the library to get it in. Thank you for the give away. I wonder what is going to happen in the #5 book. Thanks for the giveaway! I can’t wait to read this book!! !